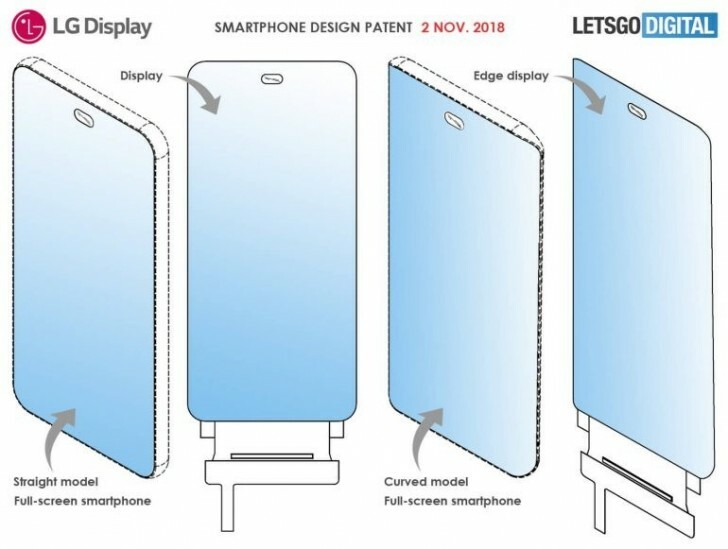 Apparently, Samsung isn't the only one planning on releasing a full-screen smartphone with an in-display front-facing camera as a recent patent suggests that LG is working on the concept as well. And thus, the new design eliminates the need of a notch or bezels altogether. The patent has been filed in South Korea and envisions two different designs - one with curved edges and one with straight. But the concept is all the same - an oval-shaped cutout houses one or at least two camera modules along with the usual sensors such as proximity and ambient. It can be in the middle or the upper left or upper right corners of the front panel. But don't get your hopes up as not always patents get materialized in a fully working consumer-ready device. We've seen plenty of patents over the years and not all of them have seen broad daylight. but its just vanity - it's just for hiding the cutout - the cutout will still be there though invisible and unusable for display.